Retailers sell their goods and products to customers through multiple digital media channels. The competition edge is getting very tough for them as, there are others too who are selling their valuables in the market. Today’s youth have been immensely influenced by digital gadgets. Retailers need to know from where and how to create buzz and drive more customers in the shop. 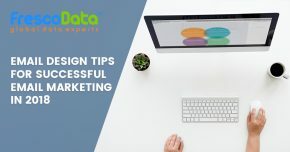 Retailers need to remain consistently connected with their potential and ideal customers for marketing their goods and selling it to earn more profit. Email marketing has proved to be a good mechanism for reaching right prospects and dealing more future deals. If retailers wish to prosper more, view the below techniques. How to make audiences to open emails? You have sent emails to your beloved audience and are waiting to gain good response which fails at the end? Did you think earlier before sending emails to them whether or not they will open and read your email? What’s the best way to get your email noticed from those of the hunched ones? The answer to this query is creating subject lines that suit to your mail sent. The five ways by which you can enhance your subject lines are listed below. The forgoing list will work best to compel your audience to get noticed and open your emails. Retailers should come up with new and unique stuff so that they can entice more customers driving to their online stores. Content – The king of Digital Marketing! If you have succeeded in getting more open rates, the other challenge for retailers is how to make their content work best in their email marketing campaigns. Say, for an example, you are having a retail business and you aim to grab more customers in your online shop. The first and foremost thing you will do is, entice them by offering temping deals. This is an abstract one, use email as your best tool for marketing your deals; specify your new arrivals and those temping offers in the content form the mail body. Suppose, you have new arrivals in your store and you want to demonstrate it to your audience. Just mention their specification and the best price they can afford to have. For example, you have to list your top category items with price using headings or sub lines; apparels under $50 and up, perfume under 10$ and more. Likewise, if you are having any old inventory that you wish to sell, specify those details in to the content by offering redeemable discount vouchers. This sneak peek will create buzz and awareness that will compel them to step in to your online stores. Invite more customers to your online store by sending emails 2 weeks prior to the event. Make your content user friendly by attaching a link where they can share and invite their friends too. Your event management should be easy and good so that they don’t find any difficulty in attending it. Recap the episode by greeting them through emails. After having a lot of discussion on email and content, let’s further talk about how many times you have to deliver your mails to your ideal customers? This query totally depends on the retailer, as how many times he/she wishes to market their goods. But, in addition to this, if you are interested to reserve more customers, you can send email 3-4 times in a month. You can also gauge your marketing performance using online tools that give a proper figure in understanding how much per cent of open rates have scored? Email marketing is the best instrument for retailers to boost their business in the online world. Email list is instrumental in conducting winning marketing strategies. A good email list will aid you grab more audience and hike your open rates. 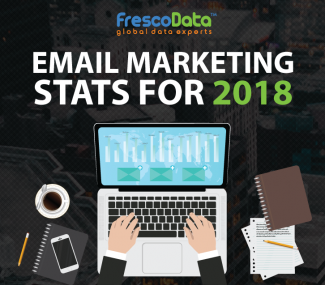 Learn more about FrescoData’s 10 ways to increase Open Rates by 30 percent in your email marketing campaigns. FrescoData’s Email Marketing Services are benchmarked and adhere to the highest industry standards.